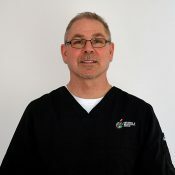 Dr. Lubes has been practicing dentistry in the Rochester area since graduating from the State University of New York at Buffalo School of Dental Medicine in 1987. After completing a Dental Residency Program at Rochester General Hospital in July of 1988, Dr. Lubes worked as an associate dentist for Dr. Charles Lowell. He opened his own practice in 1996, and has been proudly serving the Gates/Chili area since then. 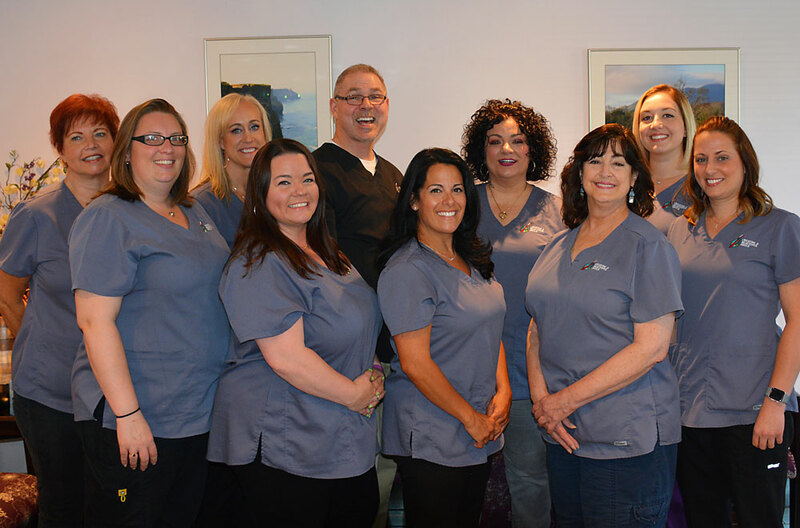 He has greatly enjoyed meeting and treating many patients over this time, and treasures the relationships he has formed with them, and with his exceptional staff. He loves dentistry and working with people. I am blessed with a wonderful wife of 21 years and two almost adult children. They are the sparkle in my smile! 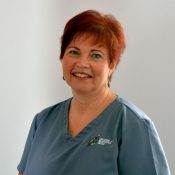 Barb is one of our dedicated Dental Hygienists. She became a hygienist 21 years ago and loves it. She has 3 kids and 4 grandchildren ranging in age from 15 to two years old. Barb keeps active with work, family, friends, swimming, kayaking and all the great activities the Rochester area has including festivals, plays and much more. 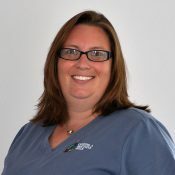 Kelly has been a Dental Assistant for 8 years and at Westside Family Dentistry for four years. She loves what she does because she makes her patients smile. When she is not at work, she loves spending time with her daughter and husband. They love being outside when the weather is nice. Michelle has worked in the dental field for 20 years. She started off as a Dental Assistant and now works at the front desk. She loves what she does and is so thankful for her work family. Michelle lives in Gates with her husband, 4-year old son and their 2 dogs. In her free time, she enjoys camping and photography. 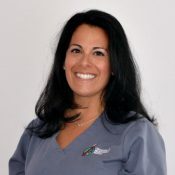 Jackie grew up in Rochester and has worked in the dental field for 13 years. 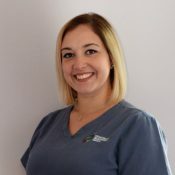 Jackie graduated from dental assisting in 2005 and from dental hygiene in 2008 from MCC. Jackie has been married for 11 years and has a 3-year-old son and a 6-year-old yellow lab. She also has been coaching Varsity Volleyball and Varsity Softball at School of the Arts for 18 years. Rachael’s goal for every patient is to make the experience as stress-free as possible. She has been a Dental Assistant for 5 years and really enjoys her job! She is married to her husband Doug since June of 2016 and they enjoy being newlyweds. They have two twin cats and a Great Dane Bull named Echo. When she is not at work, you can find her in the garden or at camp. Gina grew up on Honeoye Lake and currently lives in Greece. 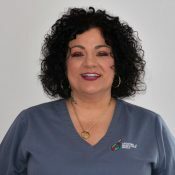 Gina started her career in Dentistry in 1998 as a Dental Assistant. She graduated as a Dental Hygienist in 2004. Gina also has her Dental Hygiene Local Infiltration Anesthesia/Nitrous Oxide Analgesia Certification. She enjoys constantly learning and continuing her education in dental hygiene and prevention. With patients young and old she prides herself in being gentle yet thorough. When not working you can find Gina raising her two beautiful children, Zachary & Olivia, gardening, boating and enjoying a day at the beach are a few of the things they love to do together. She loves traveling to the Florida Keys, and The Pittsburg Steelers. Much to her surprise, our hygienist Jody has been practicing hygiene for 42 years and loving it! She’s spent much of her time working for many dentists in the Rochester area, keeping their offices running smoothly when their hygienists are away. Recently married to her husband Ken, they have a beautiful old house that will keep them busy fixing up for years! Eight grandchildren as well as kayaking, biking and snowshoeing more that complete Jody’s free time. She is happy to be permanent part of Dr. Lubes’ staff and looking forward to really getting to know each and every one of her new partners. 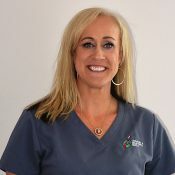 Valerie is one of our part-time hygienists and she has been with our office since April 2017. 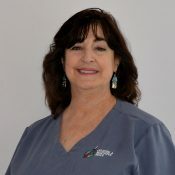 She began working in the dental field in the summer of 2000 and graduated from the MCC Dental Hygiene program in 2001. 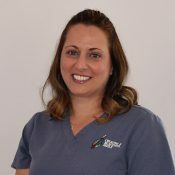 She enjoys working with her patients and helping them improve and maintain their dental health. When she is not at the office, you will find Valerie with her dogs. They enjoy training and running agility. Day to day, you will find TinaMarie tending to the daily office operations and greeting patients. She is grateful to have such a fun and caring work environment! 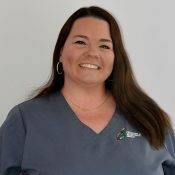 Since 2000, TinaMarie has been working in Dentistry as a Dental Assistant, Dental Assisting Instructor, and Office Administrator. Outside of the office, TinaMarie enjoys working out at the gym, spending time with her adult daughters and son. She also enjoys going to the Auditorium Theatre, doing wine and cider tastings, and listening to the Dave Matthews Band. Dr. Lubes is available for emergency calls after normal business hours, and on weekends. If you are experiencing a dental emergency, refer to the contact information below. Any non-emergency matters (including scheduling) must be made through the office during normal business hours. A modest $50 emergency fee (not covered by insurance) will be charged if an after-hours office visit is required.